Preston based sign makers, Optimum Signs are a high-quality sign makers whom pride themselves on their decades of experience and commitment to customer service. With over 40 years of combined experience, they use the latest print technology and software to provide their customers with exceptional signage. With no budget too big or too small, the skilled technicians at Optimum signs will find a solution and ensure the highest quality is provided. So, when it came to choosing the right vertical panel saw for them to size their panels they wanted the most accurate they could find. They wanted to bring their sheet cutting in house, to reduce expenses and save time but without compromising on quality. 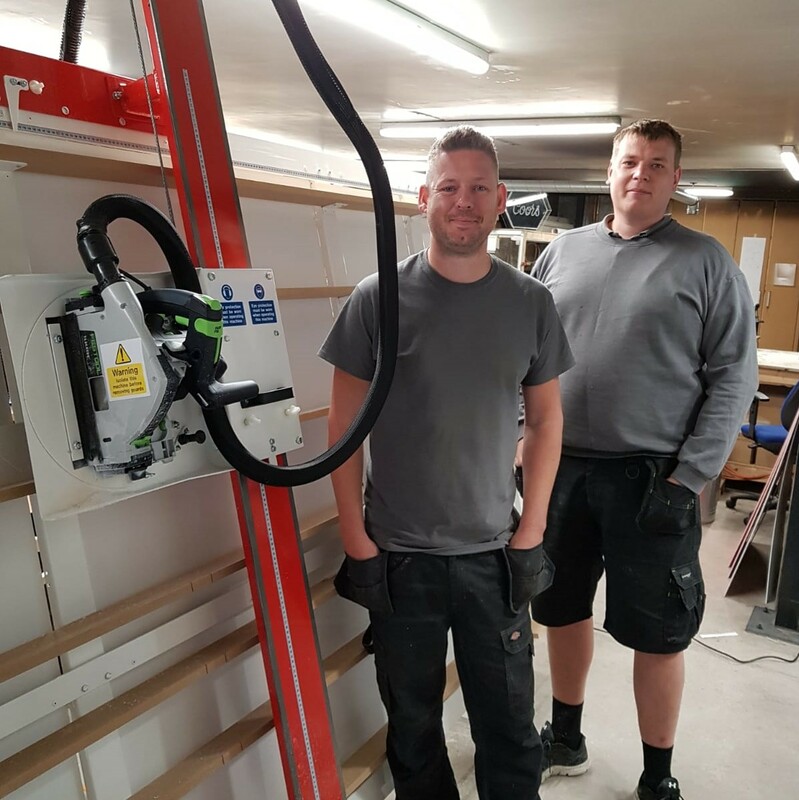 The team at Sagetech Machinery discussed their options based on their cutting requirements and Optimum Signs decided to invest in a brand new ZM16. The ZM series comes in two sizes – the ZM12 and the ZM16. The difference is that the ZM 12 will take sheets of material of 2500x1250mm while the ZM 16 will take a full 3100x1600mm sheet. Both saws have a 32mm depth of cut so will easily handle the standard 18-20mm thick sheet of manmade material. Sagetech Machinery offer a full inclusive package with all of their machines. This includes a fully packaged machine and personal delivery to your unit. Experienced engineers will then build and install your machine while giving you full training to ensure that you can use the machine to it’s full potential and achieve the best results. All machines come with a 12-month warranty. Farm owner Coulthards improve their Health with a KK Vertical Panel Saw.